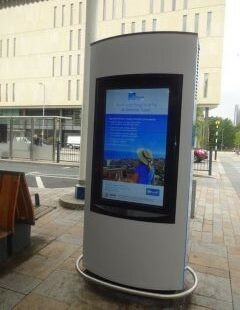 Cut through the noise with digital advertising in Blackburn bus and train station. Give your advert pride of place on five HD digital screens in the £30 million bus interchange, and one screen located just outside the train station. 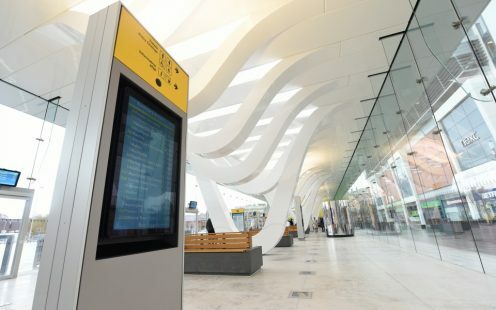 The new bus station welcomes over 60 thousand travellers a week, and the train station screen will be seen by 1.4 million people a year. The screens are video capable and can play footage, animations or still graphics and open up limitless possibilities for creativity. Combination packages and discounts are available for block bookings. Call the advertising team on 01254 585551 or tweet us @bwdadvertising. Please note the HD digital screens supports the following formats: .bmp .gif .jpg .jpeg .png .avi .flv .mov .swf .mp4 .mpg .mpeg .qt .wmv with a maximum file size of 100 megabytes.